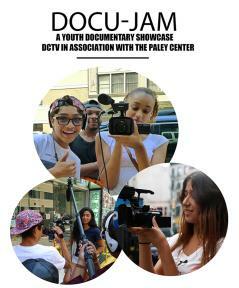 The Paley Center for Media in association with Downtown Community Television celebrate sixteen years of Docu-Jam this year! Our annual documentary film event that focuses on the work of youth filmmakers, exploring issues affecting the lives of young people today. This year’s film selection is curated by a panel of students from Downtown Community Television’s PRO-TV program. After the screening, a panel discussion with some of the filmmakers and curators will follow. Held in association with Downtown Community Television New York. Program support provided by Hearst. Eighth grade and High School groups as well as the general public are welcome at this FREE screening.